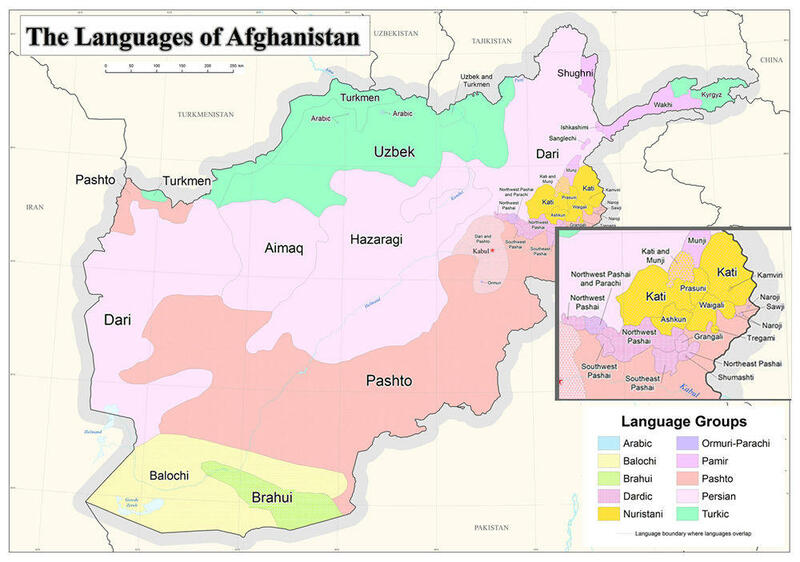 Dari and Southern Pashto are the two National statutory languages of Afghanistan, with the constitution also referring to official status of Uzbek, Turkmen, Pashai, Nuristani, Balochi and Pamiri languages in places where they are in the majority. There are also many other minority languages and languages (and people) that have come from outside the country. Your Afghan neighbours might speak several languages. God can speak through any language but be more welcome in some than others. Dari, also known as Afghan Persian or Eastern Farsi, is spoken by about 9 million people around the world. It is one of a number of Persian languages spoken primarily across Afghanistan and Iran. The full Bible is available in Dari with an online version, plus apps and print copies of resources available via afghanbibles.org. The site also contains links to Dari Christian radio and TV. The Today’s Dari Version Bible is also available on the YouVersion Bible app and via Bible.is. Video resources on satafghan.org include the Jesus Film and Magdalena Film along with God’s Story and several short films. Southern Pashto is also known as Kandahar ( Qandahar ) Pashto and Southwestern Pashto. There are known to be over 6 million speakers of Southern Pashto in Afghanistan, 4.5 million in Pakistan, and over 100,000 in Iran. An unknown number are scattered as migrants and refugees. The New Testament (text and audio) is available at pashtozeray.org along with radio programs, music, and other resources. Video resources on pashtozeray.org and satafghan.org include the Jesus Film and Magdalena Film. Over 33,000 people are following the @PashtoZeray facebook page. The variety of Uzbek in Afghanistan is called Southern Uzbek or Afghanistan Uzbek. Turkmen is also known as Turkmeni or түркменче‎ (Türkmençe). There are about 1.5 million Turkmen speakers in Afghanistan out of over 6.7 million worldwide. It is also spoken in Turkmenistan, Iran, Iraq, Russian Federation, Syria, and Turkey. The Institute for Bible Translation provides a Turkmenistan Turkmen Bible in Latin or Cyrillic script. Most Turkmen in Afghanistan use the Ärsare dialect. Scripture is available in the Southern variety of Balochi at balochimestag.com including text and audio of the gospels, acts and the book of James. Also available on the site are the Prophets’ story, and God’s Story videos. The Jesus Film in Balochi is also available. Wakhi is spoken in Afghanistan, Pakistan, Tajikistan, and China. In Afghanistan, it is mainly spoken in the Wakhan district of Badakhshan province. The Gospel of Luke was published by IBT in 2001 and is available in PDF format. Audio recordings are available from Gospel Recordings. Hazaragi is spoken by over 2 million people. While related to Dari, a language which most Hazaragi also speak, it is different enough to be classed as its own language. It is also spoken in Iran and Pakistan where the number of speakers has increased in recent years due to Hazaragi-speaking refugees from Afghanistan. Afghanbibles.org currently includes Proverbs in Hazaragi with plans to include more. The Jesus Film in Hazaragi is also available online or to download. Shughni is spoken in Badakhshan province on both sides of the Afghanistan-Tajikistan border by about 80,000 people, most of whom speak little else. The gospel of Mark is available online and as a phone app. The gospel of Luke is available as a pdf using both the Roman and Cyrilic alphabet. The Jesus film is also available in Shughni. The New Testament was published in 1998 and is available as a PDF on GospelGo.com (suggesting that the initial print run of the first edition was 1000 copies). The Gospel of John is also available in this format. Other resources include the Jesus Film.